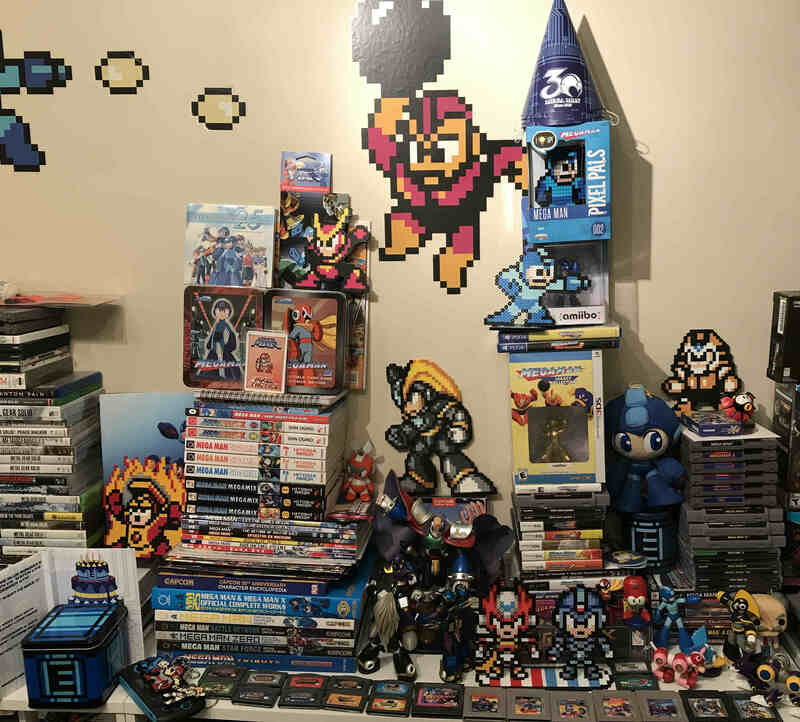 If you've seen my gaming collection, you know I'm a big fan of bead art. It's a weird me thing for sure, but I find some of the most obscure characters through it that make me smile -- what can I say? I'm definitely not the only one though, as tons of people are currently enjoying this beaded Link from Bgoodfinger, done in the style of Hyrule Warriors. 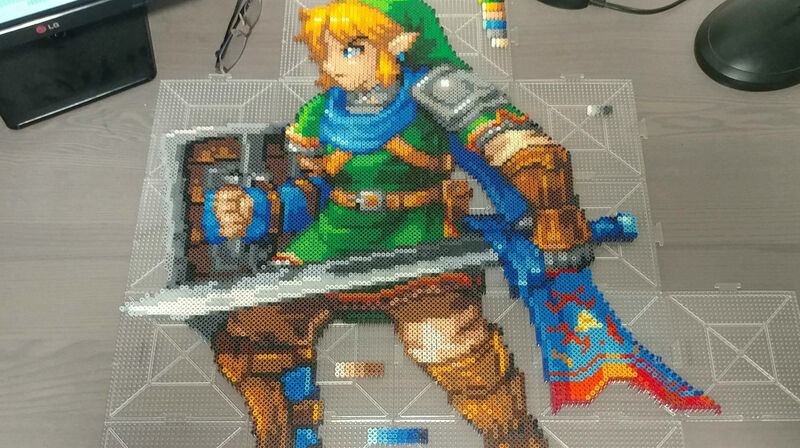 Its creator notes that Link was made from exactly 8,446 beads, and that their next work involves Zelda (7,876) and Ganondorf (22,765). What I really like about this project (based on the design by AbyssWolf) is that it looks distinctly different from Nintendo's design, and could be the basis for a 2D fighter sprite. If you want to make them on you own, bead artists use Perler beads in the US, hold them with peg boards, place ironing/wax paper on top, then use a device like an iron to get them to stay together (most artists I've spoken to suggest using an iron with a steamless setting).